The New York Jets possess many needs heading into the 2019 NFL Draft. The best possible option is for the organization to turn its cap backward, throw on a pair of shades, kick its feet up, and put the phone on vibrate while letting the offers come flooding in. As is the case seemingly every draft season, the inflated value of rookie quarterbacks at the top of the draft. 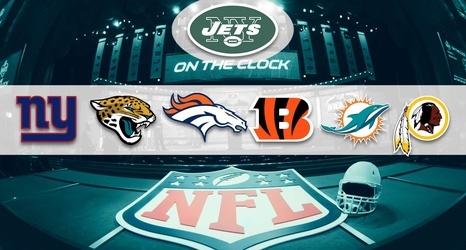 No team knows this better then the New York Jets, who traded the sixth overall pick and three second round picks for the chance to draft Sam Darnold with the third overall pick.